Explore the FAQ or Glossary to learn more about finding caches, hiding caches, puzzle cache solving and what to take with you when caching. Find out how to start geocaching. Read articles written by local geocachers about their experiences. There are still some Mega Geocoins for sale. Geocachers of South Africa (GoSA) is an association of volunteers whose aim is to promote the game of Geocaching in South Africa. Geocaching is a worldwide game of hiding and seeking "treasure". A geocacher can place a geocache (container) somewhere in the world, pinpoint its location using GPS technology and then share the geocache’s existence and location online. Participants all over the world can navigate to a specific set of GPS coordinates, locate these hidden containers, sign the logsheet inside and then log their experience online at www.geocaching.com. As at January 2018, there are more than 14 300 active geocaches across South Africa and during 2017 more than 8 800 teams of geocachers (the folk doing the finding and hiding) from across the world found geocaches in South Africa. A MEGA EVENT is a very large event that requires more than 500 people attending, and it spans over more than a day (typically). There are usually fun-filled activities and it is an opportunity to meet geocachers from far and wide. A Mega also has its own Event Icon, so it is a much sought after event cache to "attend". South Africa hosted its very first Mega Event in October 2012 at the Voortrekker Monument in Pretoria. It was a resounding success and geocachers from around the country and the world came together to enjoy three days of fun, caching and comraderie. The second Mega Event took place in October 2014 at Giba Gorge MTB Park just outside Durban. This was a fantastic event, packed full of sub-events, awesome caches and loads of prizes. The third South African Mega Event was in October 2016 in Cape Town, and was an adventure filled weekend with cachers from all over the world descending on the mother city. 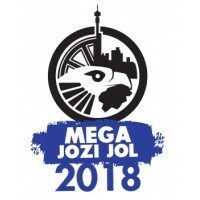 The fourth South African Mega Event took place on 29 September 2018 in Johannesburg, and was a weekend of interesting experiences and some really challenging geocaches.